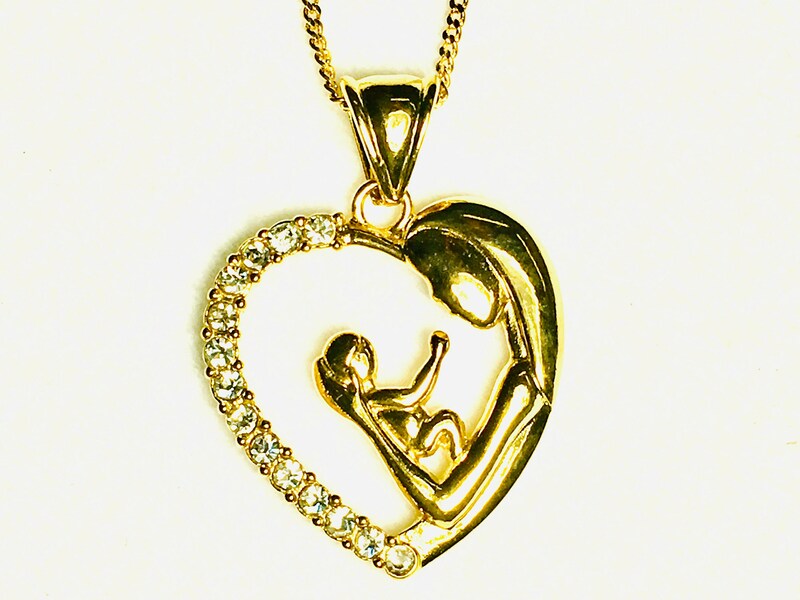 Gold Virgin Mary and Baby Rhinestone Heart Necklace. Measures 1 3/8" wide x 1" long. A Saint Michaels Jewelry exclusive design. Each pendant comes with a beautiful flat mini link complementary 18" gold plated chain with positive locking lobster clasp.